The entire Advanced Anti-Aging Regimen was designed to work together for improved skin texture, radiance, and firmness, and reducing the appearance of wrinkles. 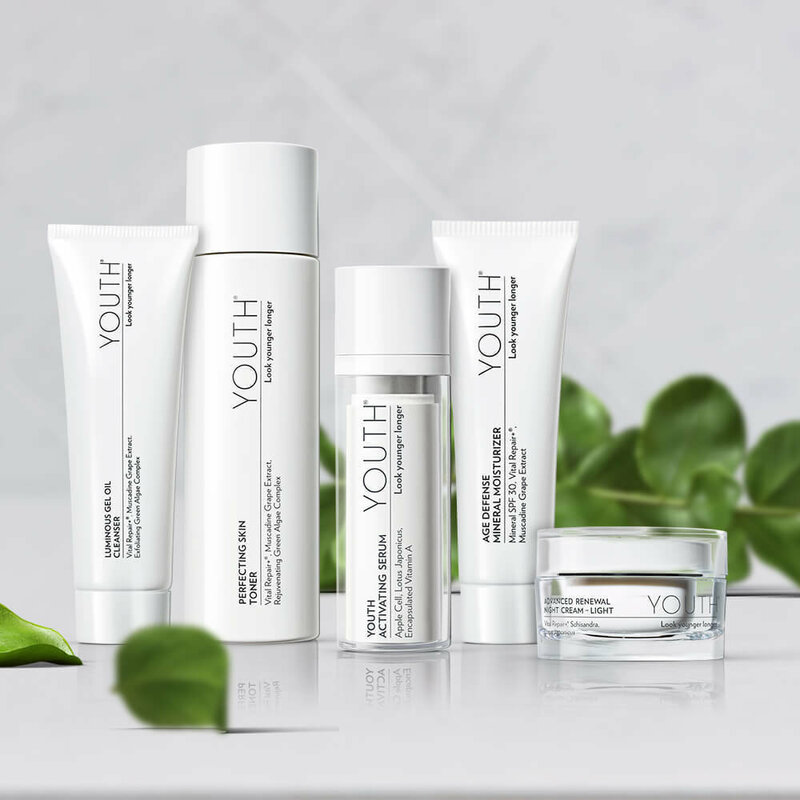 Formulated with active anti-aging ingredients in every single product in the line, YOUTH provides treatment benefits in each of the four simple steps. Step 1: Luminous Gel Oil Cleanser – 3-in-1, soap-free, pH-balanced cleanser. Gently polish, purify and prepare your skin. Step 2: Perfecting Skin Toner – Free your skin of dull cells and environmental pollutants. Exfoliate, hydrate and nourish for glowing skin. 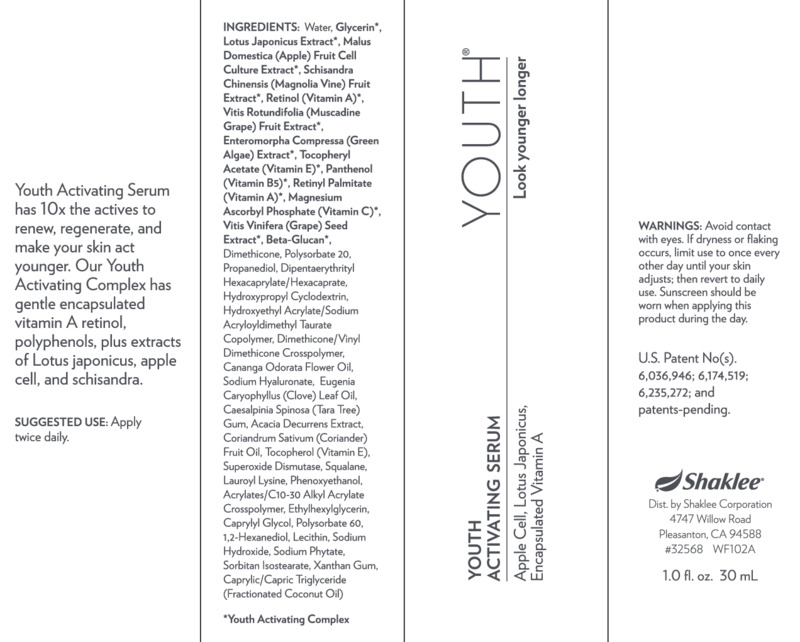 Step 3: Youth Activating Serum – 10X the actives to provide the critical regeneration step. Renews skin at the cellular level for superior radiance and rejuvenation. Step 4 Day: Age Defense Mineral Moisturizer – Naturally derived zinc oxide provides chemical-free SPF 30 Broad Spectrum UVA/UVB protection. 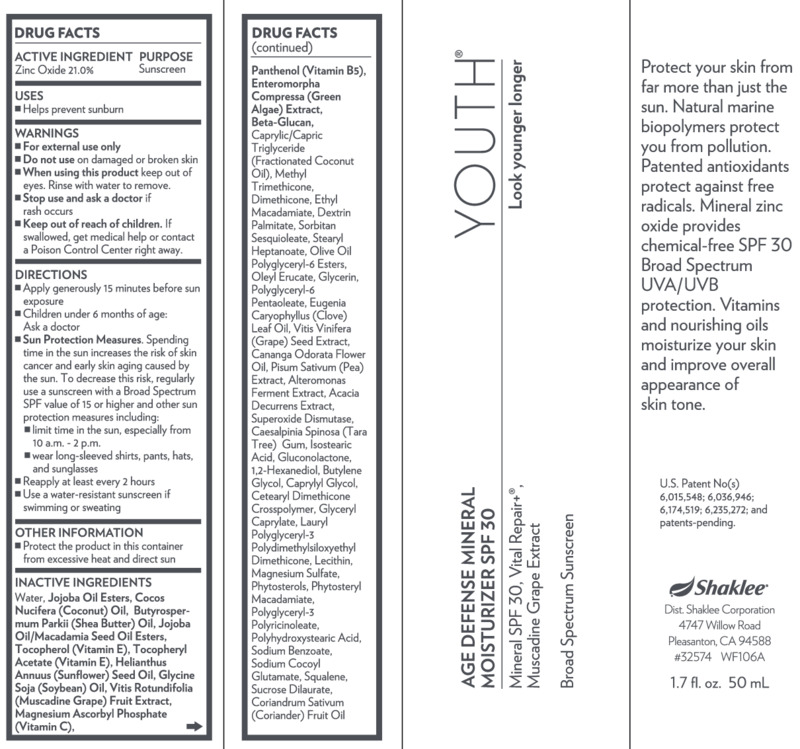 Vitamins and botanicals moisturize your skin and improve skin tone. Step 4 Night: Advanced Renewal Night Cream – This targeted night repair cream supports your skin's cell renewal process. A proprietary botanical blend helps collagen and elastin production to make skin appear younger looking, smoother, and more luminous. Available in Light or Rich formulas. 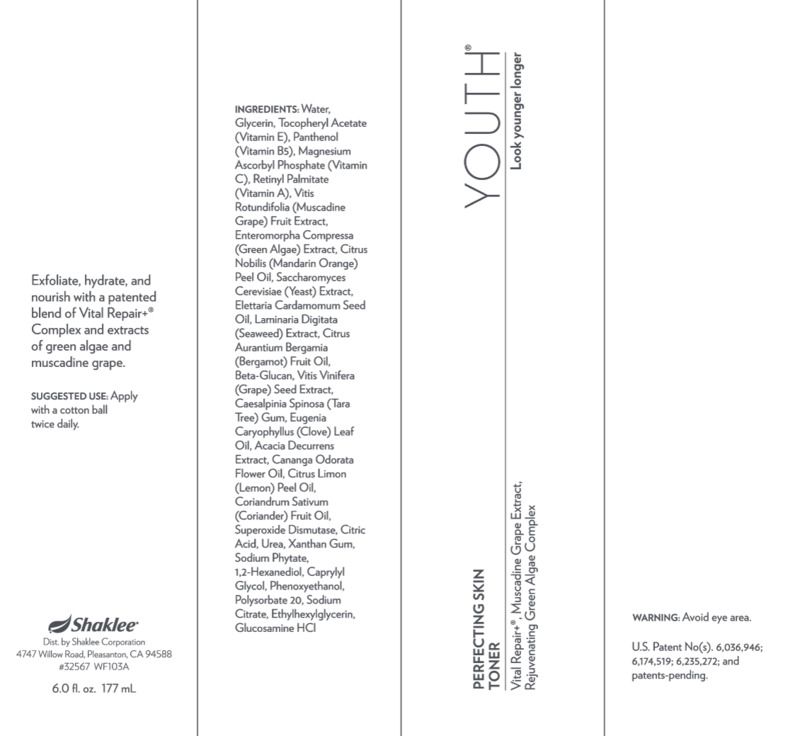 YOUTH products are all 100% vegan, cruelty free and gluten free. 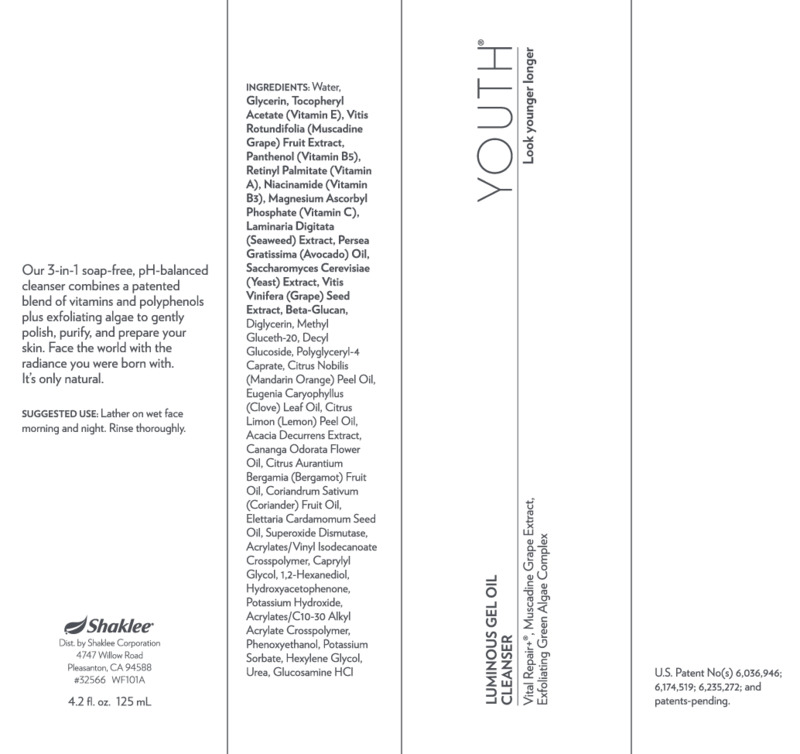 Each YOUTH product shown contains a 60-day supply. Offer is available in the U.S. and Canada from Thursday, August 10 through Sunday, December 31, 2017. The Free Radiance C+E offer is so amazing we’re only offering it one time per Member or Distributor ID. Must place order on Autoship to receive free Radiance C+E gift. Through September 30, 2017, you will also receive the exclusive silver YOUTH cosmetic bag with each purchase of the Advanced Anti-Aging Regimen. Open to new and existing Members, Distributors & Associates. Eligible orders must be placed online through MyShaklee.com, Shaklee.com, Shaklee Connect™, mobile, Shaklee PWS or the Shaklee Los Angeles Sales and Training Center. Remember, the Free Radiance C+E offer is only for Autoship orders. The Shaklee Los Angeles Sales and Training Center is excluded from this portion of the promotion. 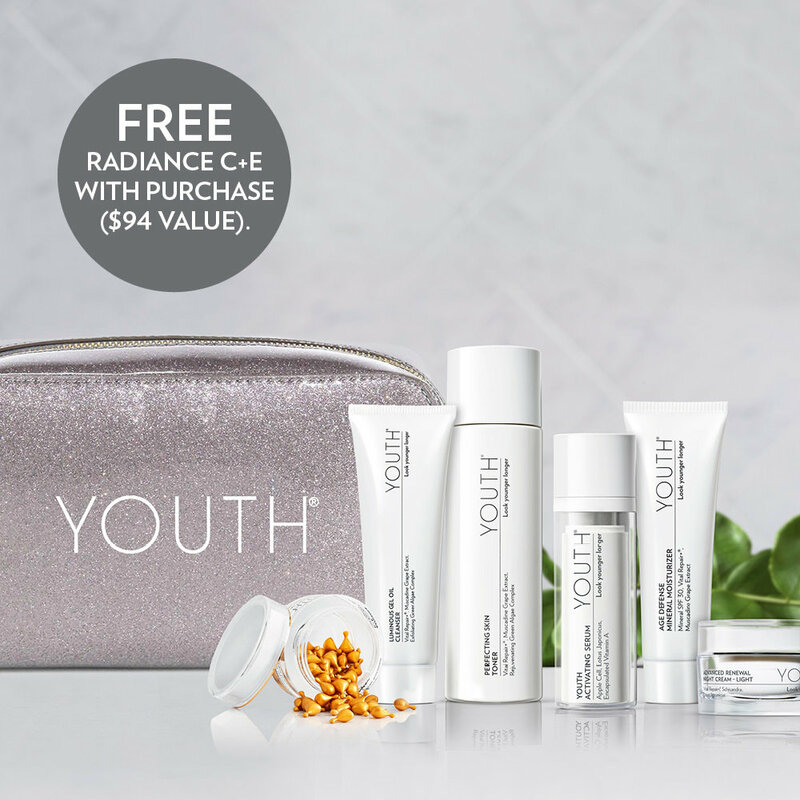 Business Leaders are eligible to receive the Free YOUTH cosmetic Bag, but are excluded from the additional Free Radiance C + E Autoship offer. There is no point value (PV) on the free product and the free product can’t be returned for cash or product credit, or exchanged for another product.